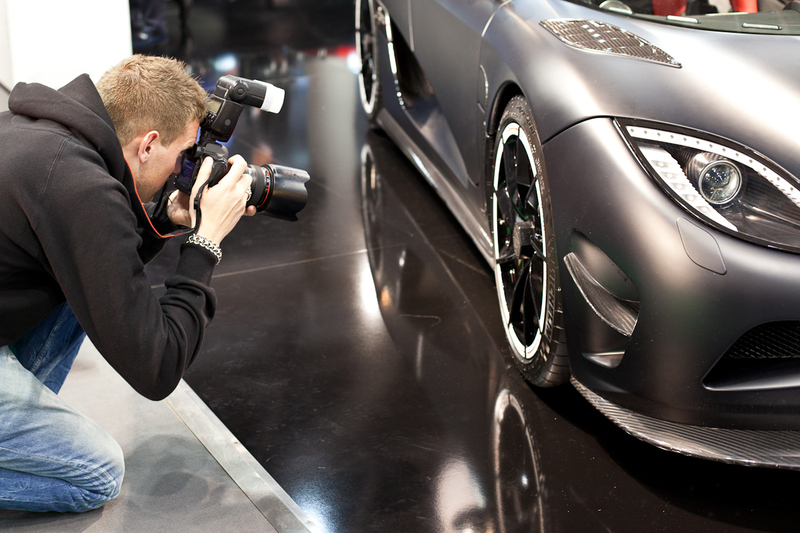 At Top Marques, there seemed to be as many photographers as cars. Note in the last photo, the photographer is using a type of trolley device fixed to his tripod. He was photographing a motorbike. The photographer in the last picture is doing video. 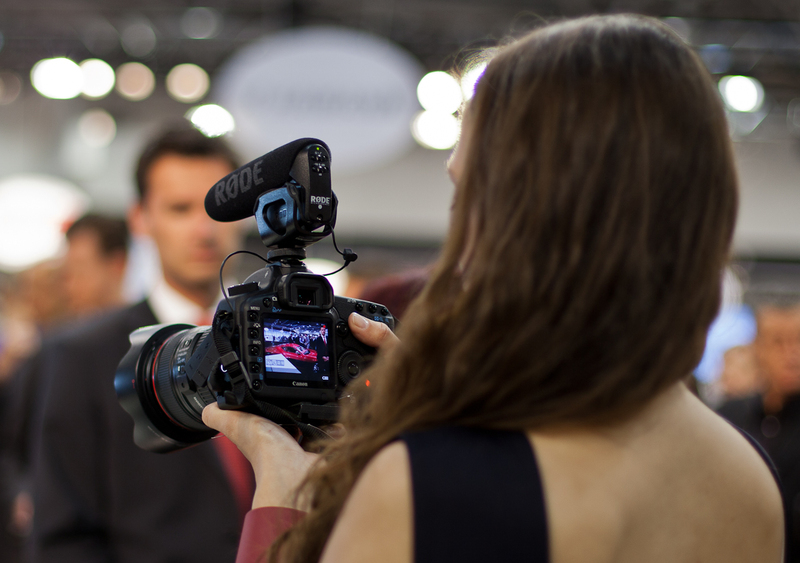 You can get spectacular video with DSLRs nowadays. Just dont use the standard zooms. That lens looks like an EF 1.4/50mm and produces a cinema like vision compared to videos from a compact digital camera. If the marketing department at Nike sees your photo of the photographer in the white pants, you will have inspried them for a new idea for a commercial. Yes I saw he was making a video but hadn't realised the lens was the f1.4 50 mm lens. Same as mine on my 5D Mark II. Love that lens and am now using it nearly all the time. Great top photo where only the camera is in sharp focus and all the rest, front and back, is blurry. That's fun and creative. Well done ! 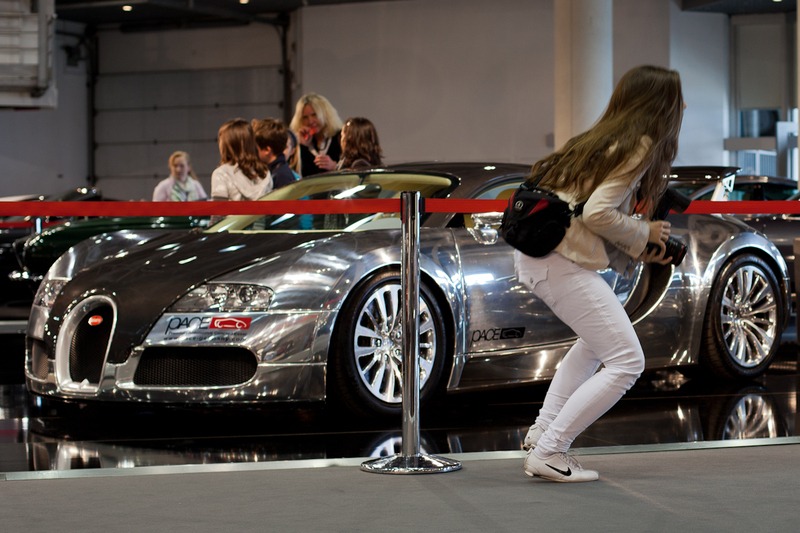 You would have been able to snap me snapping the cars (and girls) if I was there! 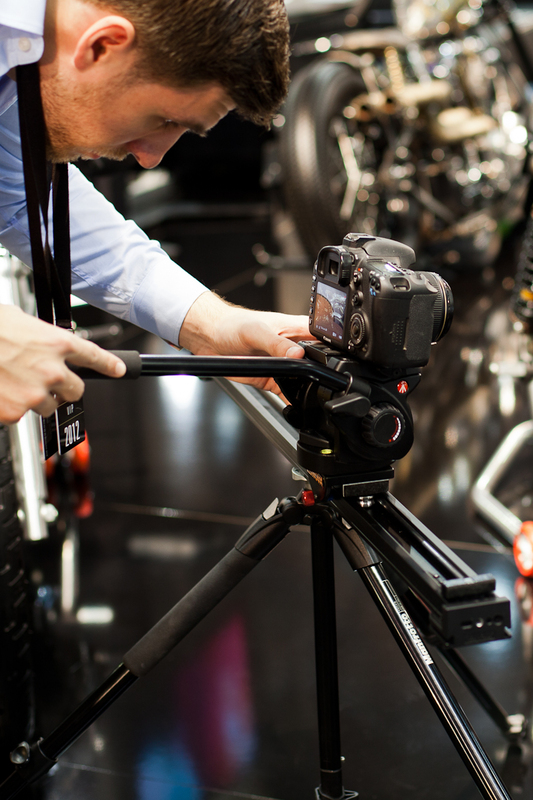 I had a track like that and it also attached to the tripod. Handy but not for the on-the-go photographer. The silvery car is I think a rare Bugatti 16/4 Veyron Pur Sang, with the black and silver colours being the carbon [fibre] and aluminum panels in their natural state ... lovely.